This book is what happens when smart becomes too smart. A hugely confident debut from Heather Child, and I’m looking forward to seeing what she comes up with next. 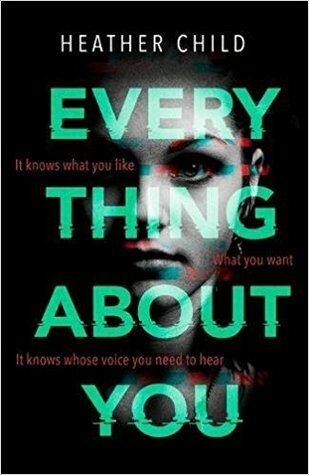 Everything About You by Heather Child is published by Orbit Books in April 2018. Many thanks to Nazia Khatum and Orbit Books for the review copy. This sounds brilliant! A little scary, but brilliant!